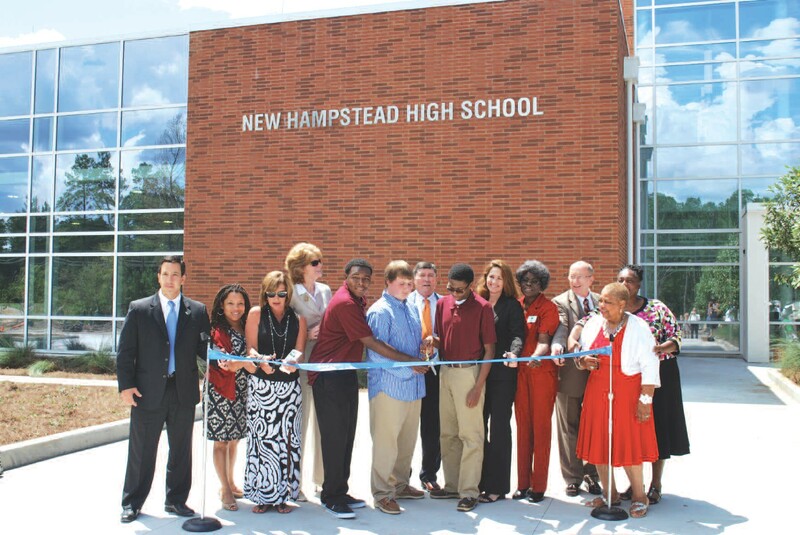 The Savannah- Chatham County Public School System announced the grand opening of New Hampstead High School, 2451 Little Neck Road, 31302, with an official ribbon cutting ceremony on Friday, August 24, 2012. The new multi-million dollar ESPLOST funded project will provide more than 175,000 square feet of space for students and faculty. The facility will house 46 new classrooms that will also include computer labs, science labs, band, choral, and art classrooms, career educational labs, and a black box theatre and drama room. The facility also includes a 32,000 square foot competition gymnasium (Phase II of the project) and a 9,500 square foot Media Center with integrated computer stations and a video production studio. Members of the public, SCCPSS Administration, and members of the Savannah-Chatham County Board of Public Education were in attendance.